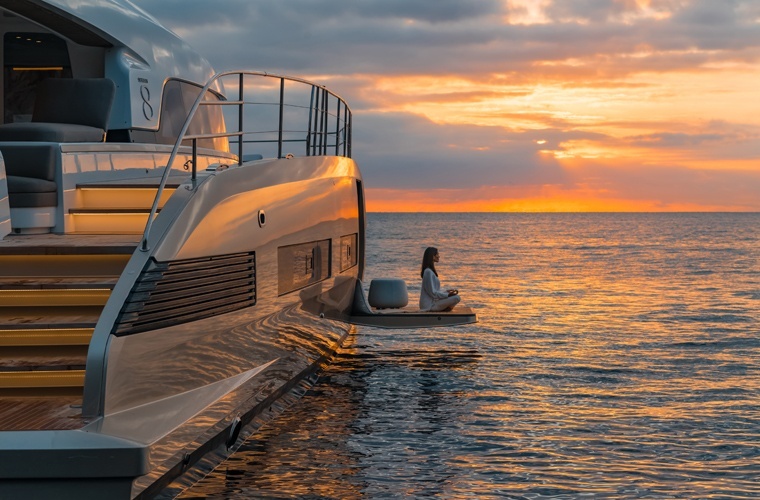 Motor yacht furniture endures the extremes of all the elements. 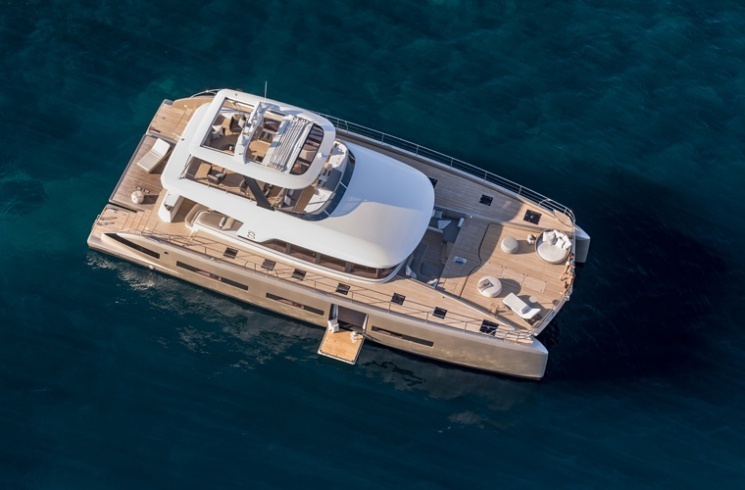 Tribù supplied the Lagoon Seventy 8 with motor yacht furniture that compliments her beauty in every aspect. 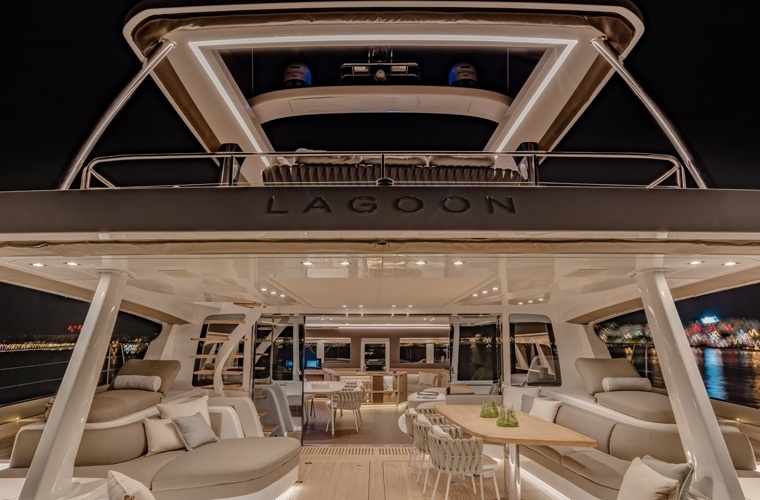 An elegant profile, sleek lines and a fine balance between technical perfection and beautiful design sum up the new Lagoon Seventy 8 motor yacht. 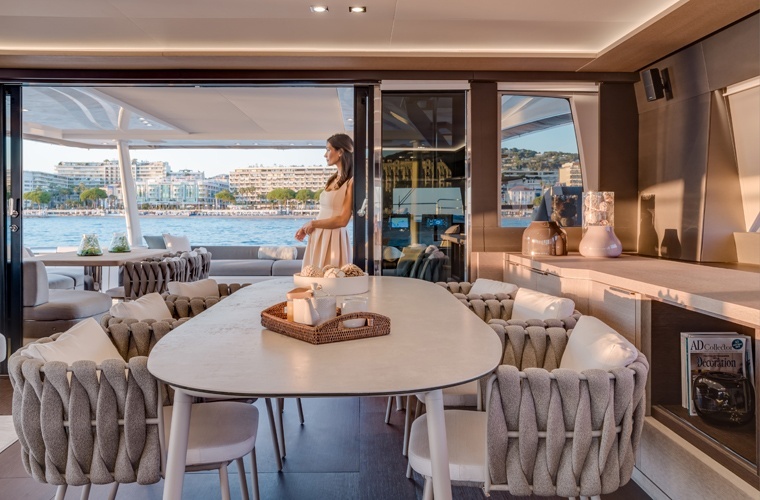 The versatile motor yacht furniture from Tribù gave the Lagoon Seventy 8 the very best solution for outdoor luxury living onboard. Nomad poufs adds interest and offer great versatility as motor yacht furniture. They create a relaxed seating area wherever they are placed. A teak lantern adds a gentle glow as the light fades on a scene of design harmony between Lagoon Seventy 8 and Tribù. 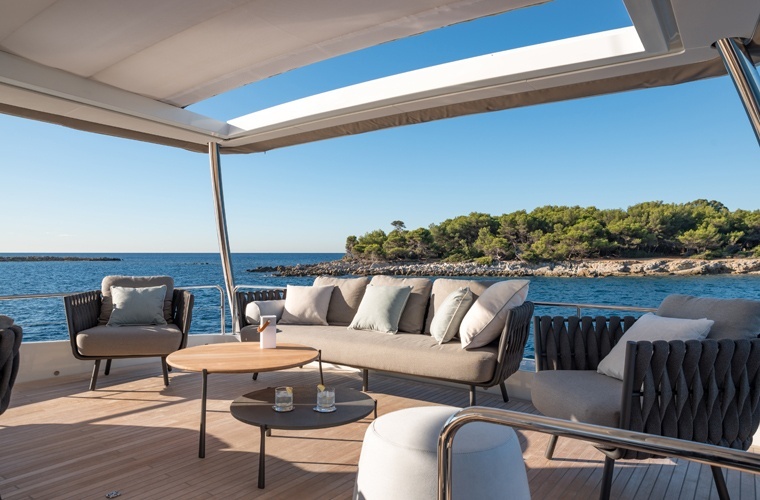 Lagoon sought some of the great names in naval design to create its stunning new flagship catamaran: the young French team at VPLP, Frenchman Patrick le Quément and Milan-based Nauta Design. Their ingenious concept allows for chic living areas that open onto wide spaces for sunbathing, relaxing and entertaining.